When it comes to collecting silverware, there's no doubt that RSC Anderlecht (the initials are an abbreviation for Royal Sporting Club Anderlecht), is the most successful Belgian football club of all time. In addition to 34 Belgian Championship titles and nine Belgian Cups, the Purple and Whites also have five European trophies to their name. These international exploits have seen Anderlecht rank as the 13th most successful club in the history of UEFA's club competitions. 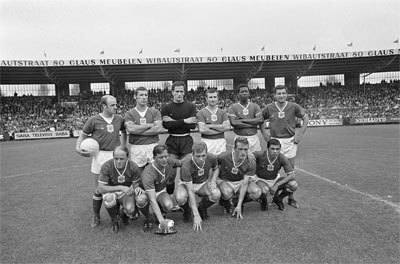 Anderlecht team shot in 1967. The club was founded in 1908 by a dozen of football enthusiasts who used to gather at the Concordia cafe on Rue d'Aumale. After a successful debut -- an 11-8 victory against Institut Saint-Georges -- the club joined the Belgian football league system in 1909. By 1917, they had already moved to a brand-new stadium in the Astrid Park, where they would spend the following century. The stadium was named after Emile Verse, who was the club's first major patron. Four years later, the Purple and Whites managed to earn promotion to the top echelon of Belgian football. However, the next 14 years weren't too kind to Anderlecht. During this period, they were relegated and promoted an additional four times. As a result, they were mercilessly mocked by the two main rival clubs, Daring Club de Bruxelles and Union Saint-Gilloise. Still, it was Anderlecht fans who would have the last laugh; after getting promoted to the First Division in 1935, they would never get relegated from it again. Shortly after winning their first two league titles in 1947 and 1949, Anderlecht established themselves as a major force in Belgian football. Led by prolific striker Joseph Mermans, they would win another six titles during the 50's. The club then won six more titles in the 60's, including an unprecedented five-year win streak from 1963 to 1968. The leader of this generation was Paul Van Himst, who is one of the club's top scorer of all time with 233 goals in 453 appearances. The 1970's were a less successful period domestically, but the club made up for it with international success. In 1976, they won their first Cup Winners' Cup by defeating West Ham United 4-2 in the finals, with Francois Van Der Elst and Rob Rensenbrink scoring twice each. The club repeated this achievement in 1978, trouncing Austria Wien 4-0 in the finals. 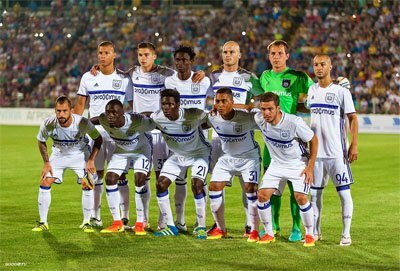 Anderlecht followed up both of these victories by winning the consequent UEFA Super Cups. Interior of Constant Vanden Stock Stadium in 2008. After appointing Paul Van Himst as the new coach in 1982, Anderlecht won their final European trophy so far: the 1982-1983 UEFA Cup. The end of this season also saw the club rebuild their stadium, which was eventually renamed in honor of Constant Vanden Stock, Anderlecht's then-chairman. They made it to another UEFA Cup final in 1984, but were defeated by Tottenham Hotspur. After reaching the 1990 European Cup Winners' Final -- where they were defeated by Sampdoria -- Anderlecht started to decline at the international level. However, this didn't seem to faze them in domestic leagues. From 1984 to 1995, the club dominated its competition, securing 7 titles and 3 cups. Following a short slump after Vanden Stock's retirement in 1996, the club came roaring back around the turn of the century. During the following two decades, they confirmed their status as Belgium's top club by winning another ten league titles. In 2010, the Purple and Whites officially became the first club to win 30 Belgian titles, a record that's likely to stand for a long time. The logo consists of many parts. There are two banners with Anderlecht's purple and white colors in striped fashion. In the upper center there is a crown flanked by two Belgian flags. Below are the initials SCA standing for Sporting Club Anderlechtois, the club's initial name. Below the initials is a Latin motto: Sporting Club Anderlechtois. The stars above the crest symbolize ten league titles each. 1908 RSC Anderlecht is established. 1909The club joins the Belgian football league system. 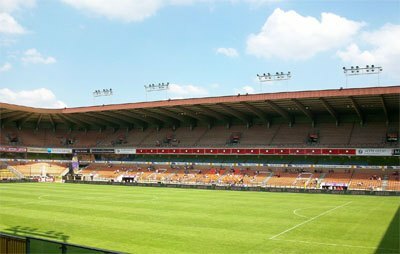 1917 The club move to the Émile Versé Stadium. 1921First season in the Belgian first division. 1947 First time national league champions. 1947 Winning their first domestic cup title (Belgian Cup). 1975 First European cup trophy (UEFA Cup Winners' Cup). 1983 The club move to the Constant Vanden Stock Stadium.